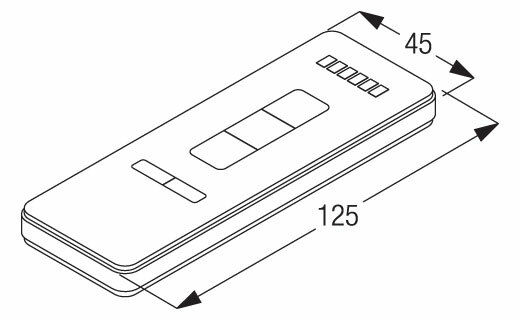 Important: Please pay close attention to which Silent Gliss system each accessory or component works with. Please note that while UK Mainland delivery is free on orders of our electric curtain tracks, there is a £15 postage charge on order totals below £99 that consist of accessories. 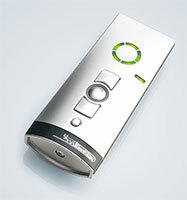 This remote allows you to control up to 6 Silent Gliss Autoglide 5100 electric curtain tracks. This wireless remote control unit is for the Silent Gliss Autoglide 5100 series (5100B, 5100R, 5100T, 5100TC). You can buy it as a replacement if you happen to damage your existing remote, or as an addition to upgrade your existing 5100 system. 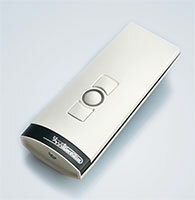 You can buy this remote and start using it out the box with your existing 5100 Autoglide system. You can use multiple remotes to control the same curtain track. This remote is not compatible with the Autoglide 5090 Series. 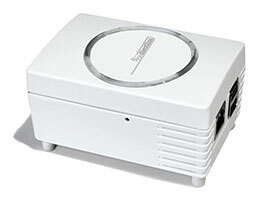 This wireless wall switch is for the Silent Gliss Autoglide 5100 series (5100B, 5100R, 5100T, 5100TC). You can buy it as a replacement if you happen to damage your existing switch, or as an addition to your existing 5100 system. As an addition, you can buy this wall switch and start using it with your existing system out of the box. You can have multiple wall switches controlling the same curtain track. This switch is not compatible with the Autoglide 5090 Series. 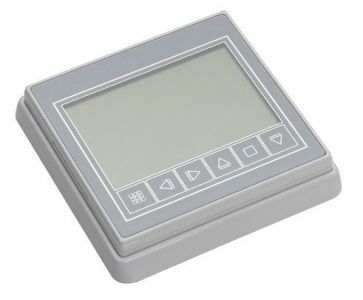 This wireless programmable timer unit is for the Silent Gliss Autoglide 5100 series (5100B, 5100R, 5100T, 5100TC). You can buy it as a replacement if you happen to damage your existing timer, or as an addition to upgrade your existing 5100 system. As an addition, for example if you own the 5100B (with a wall button) or 5100R (With a remote and a wall button), you can buy this timer unit and start using it with your existing system out of the box. This timer is not compatible with the Autoglide 5090 Series. Replacement or additional Top Fix Clamps for the 5100 electric curtain track. This buys one L shaped arm bracket (50 x 80mm) and one track-connecting piece. The 'Move Server' connects to your internet router, while the transmitter stick connects to your Silent Gliss 5600 electric curtain track. You can then use an App to control and program your curtains. 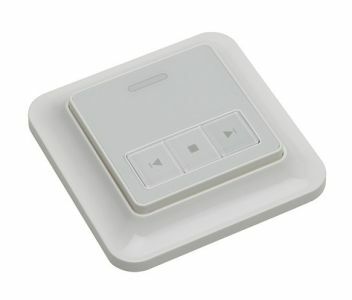 Single channel remote control for the Silent Gliss 5600 electric curtain track. This handheld remote control will control one curtain track. 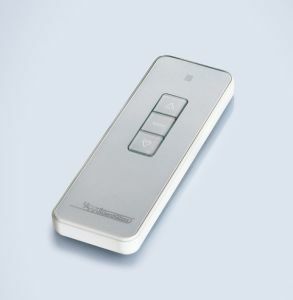 This remote can control up to 5 Silent Gliss 5600 electric curtain tracks.